It’s never a desirable experience having to work in a place where the heating systems conk out. Especially if you’re in an area that can get extremely cold in a jiffy, waiting for days on end for repair work is never a good option. This is why at Phoenix AC & Heating Experts, we provide emergency commercial heating services. Unlike other companies, we resolve internal heating problems in the shortest time possible. This is so that your business can resume regular operations without much of a hitch. We Make Sure You Get The Most Bang For Your Buck! Even if we do the job quickly, we make sure that you’re not left with a temporary fix. Instead, we abide by the “do it right the first time” mantra. In doing so, we reduce further downtime and future issues that can be costly for your business. You can always expect an on-the-spot diagnosis, assessment, and explanation of the repair process. Our years of experience in the business plus the expertise of our certified technicians and licensed contractors make it possible for us at Phoenix AC & Heating Experts to provide you with this swift, reliable, and cost-efficient emergency commercial heating service. We cater to different repair service requirements for various types of heating systems. Some of the special services we provide include repair work for commercial furnaces. Our contractors have worked on a wide array of systems and brands and can help you through speedy assessments and effective repair solutions. There are times when systems break down because of poor maintenance. In this case, we can conduct repairs in terms of maintenance and cleaning then proceed with arranging a schedule for regular maintenance checks for your heating systems. When the time comes when your heating system needs to be replaced, we can also provide you with the necessary assistance to undertake this task at a lower cost compared to other offers in the market. Again, with Phoenix AC & Heating Experts, everything that you need can be found in one place. You won’t have to shop around for services anymore. We believe that with commercial heating repairs, experience matters and this is why we invest in our tools and people to deliver services that are of the best possible quality, each and every time. We’ve worked with numerous businesses in our over-a-decade’s worth operations; and so you can depend on us in this area. 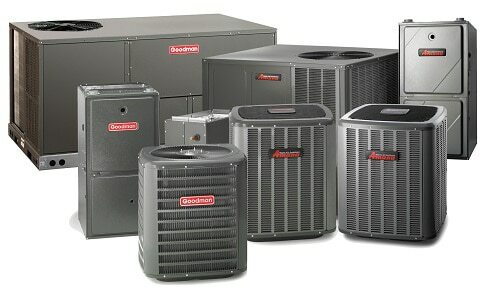 We at Phoenix AC & Heating Experts strive to provide our customers with the best service possible. Unlike other service providers in the market, we invest in various technologies to ensure that we can identify and address specific pain points. Apart from employing some of the best licensed professionals in the business for the field, we also provide a 24/7 emergency hotline so that we can assist our clients when they need help the most. Have questions? Inquiring about repair work? Need a quotation? Need aftercare services? Just dial 602 773 5522. In terms of pricing, we make sure that our customers understand the costs of our services. We also see to it that no client is taken aback by ballooning costs. This is why we provide up-front quotations at all times. And of course, we provide a wide array of commercial heating repair services that are applicable not only to different machines but those from different manufacturers as well. Everything you need is always under one roof when you work with us at Phoenix AC & Heating Experts. Did we mention that we’re also an accredited service partner of these brands?